Even though you've probably got holiday cooking and baking on the brain, don't forget about dinner! This week's menu features cozy, creamy soups, hearty roasted veggies, and a chocolatey weekend treat. What are you waiting for? This spicy veggie dinner is anything but shy on flavor! Serve with roasted tofu and a green salad for an easy, satisfying meal. 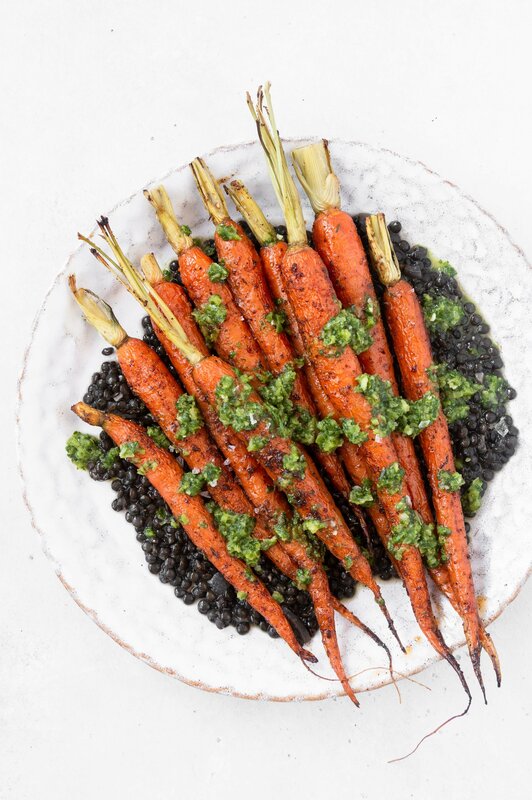 Feedfeed Tip Can't find black lentils? Feel free to substitute with green or yellow, if you prefer. The only way to get through winter cooking is by making pureed soups, and plenty of them! 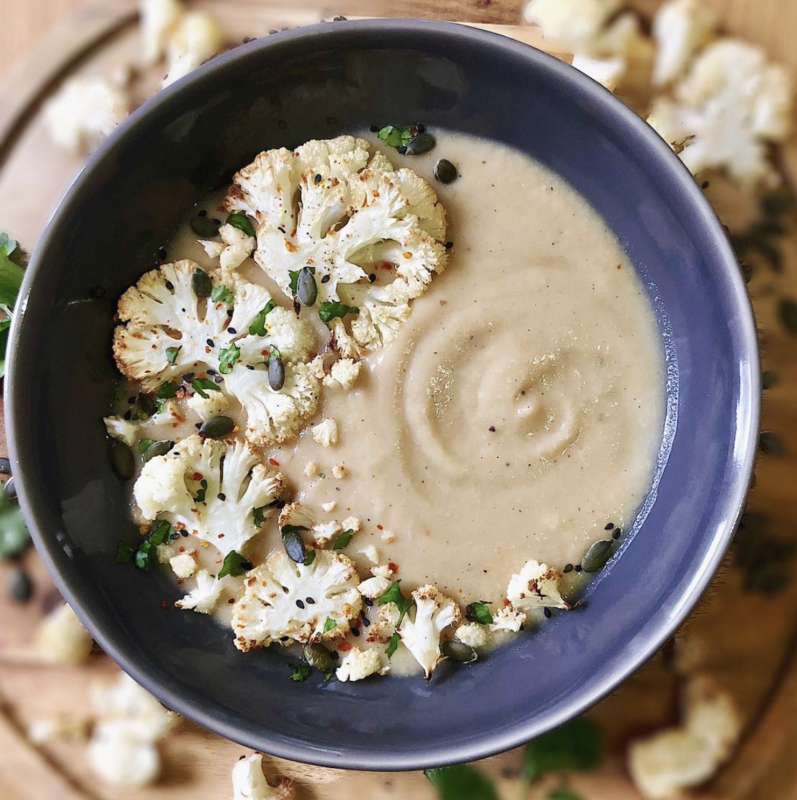 This creamy cauliflower number is a hands down winner. This tasty dinner is just a delicious when it's packed for lunch the next day. 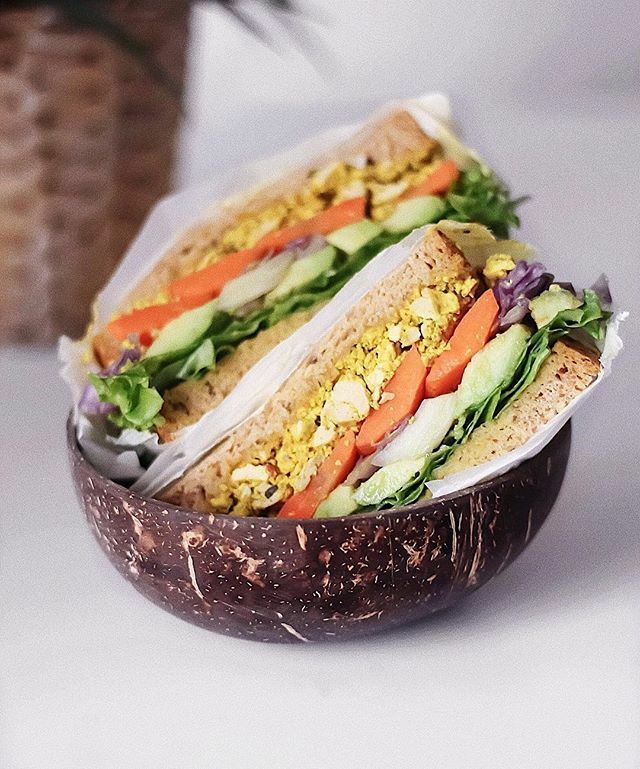 Pack it in a sandwich with whatever veggies you have lying around and voila, you're about to give all your coworkers serious lunch envy. Talk about an easy, sheet pan dinner. 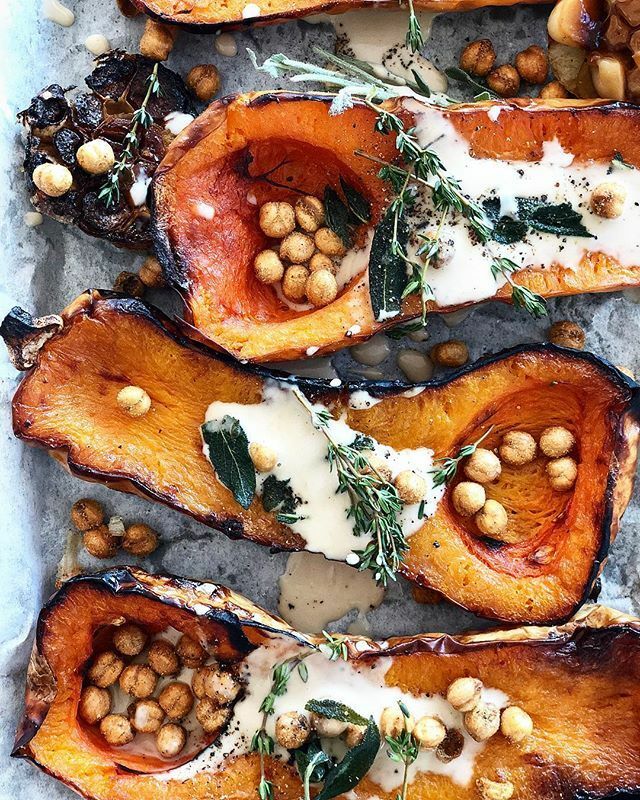 Cozy and flavor-packed, these butternut squash halves are a simple solution to your dinner dilemma! The addition of creamy coconut adds an exotic backbone to this spicy soup. 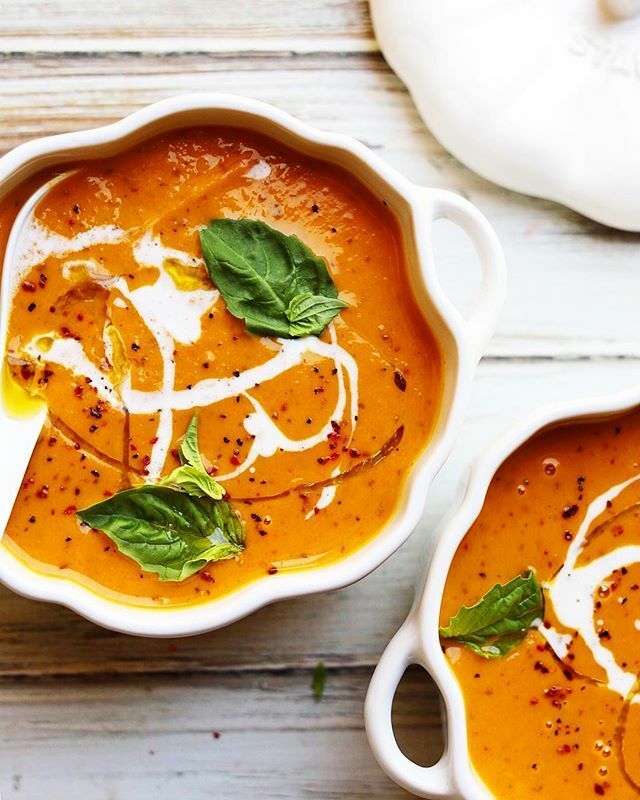 If you have any leftover butternut squash from yesterday, go ahead and add it to this soup. 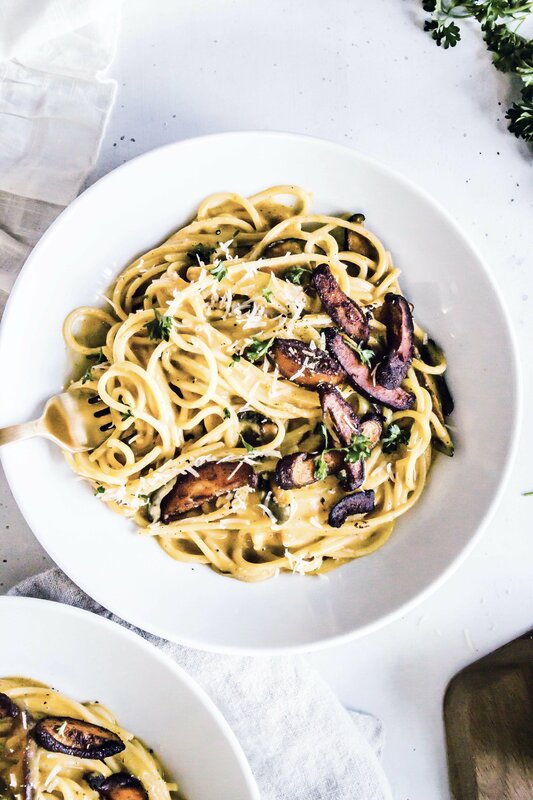 What better dinner to come home to on a Friday night than a big bowl of pasta? Not to mention, this shiitake "bacon" is the real deal. Feedfeed Tip If you can't find liquid smoke for the shiitake "bacon," just skip it. The mushrooms will still taste delicious! Anyone craving some chocolate? 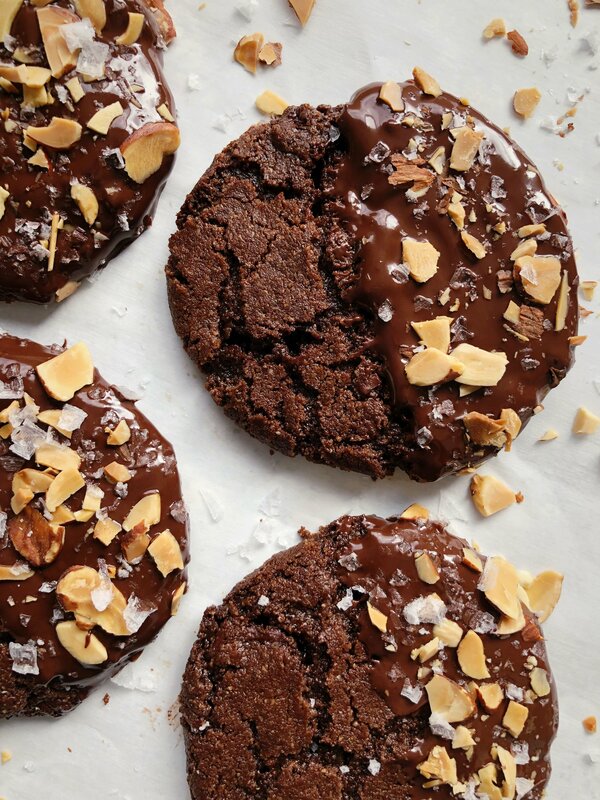 These gluten free treats are the perfect salty-sweet dessert. We highly recommend dunking these guys in a tall glass of alt-milk. Feedfeed Tip Feel free to make the dough up to 2 days ahead if you're having people over.